Mikey asked me to make a cake for him. That's pretty rare. I told him of course I would. He is not a big fan of chocolate cake and that was all we had in the house. 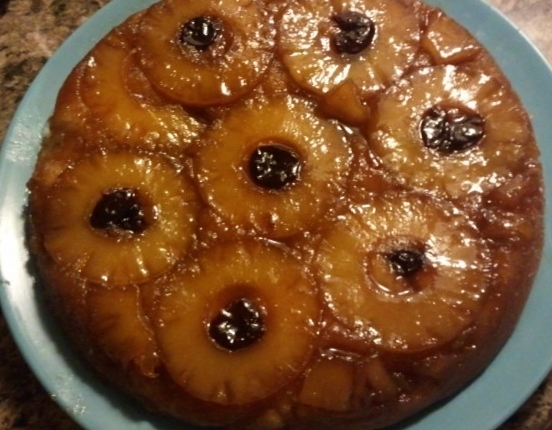 He had a dream about pineapple upside down cake and woke up with a craving. Robin to the rescue! No problem. Except I haven't found the right recipe yet. I went to Betty Crocker and used one of her's with a couple of modifications. I was also happy that I would be able to use my maraschino cherries in something so soon. I had to do some guessing when I made this because I don't actually eat it myself so the taste test only happens when it's too late. When I look at it I imagine most of the appeal is in the caramel that runs down after the cake is turned out of the pan so the first change I usually make is doubling those proportions in the recipe. Heat oven to 350°F. 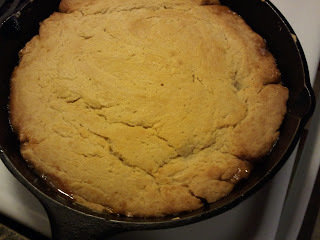 In 9-inch cast iron skillet (or 9" square pan), melt butter in oven. Sprinkle brown sugar evenly over melted butter. 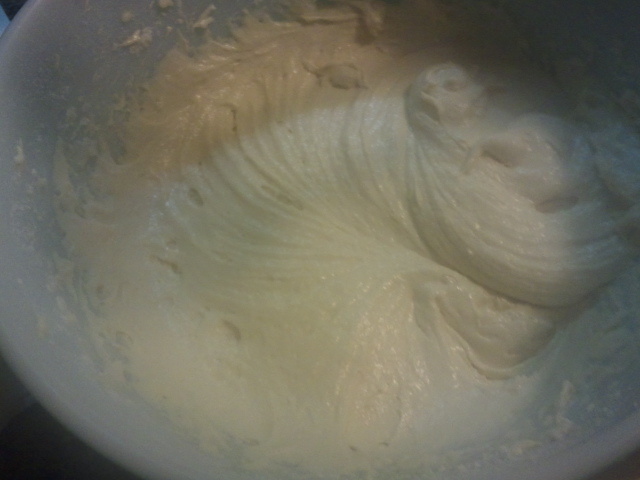 Place back in oven for 5 minutes to melt the sugar slightly. Arrange pineapple slices over brown sugar. 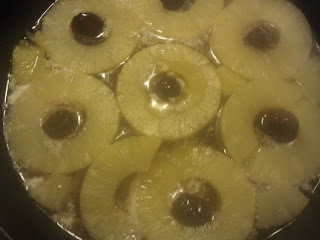 Place cherry in center of each pineapple slice. 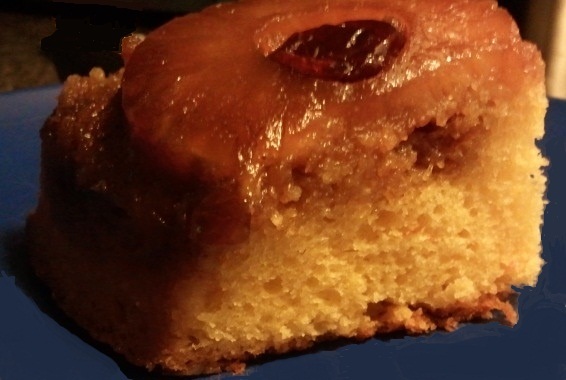 Leave pan over cake a few minutes so brown sugar mixture can drizzle over cake; remove pan. Serve warm. Store cake loosely covered. The next day I used a yellow cake mix and instead of water used pineapple juice, 1/3 cup oil and 2 eggs. It turned out much better! I love pineapple upside down cake and used to make it occasionally and then I developed an allergy to pineapple...:-( I miss it! thanks for commenting on my blog - new follower here. MMmm! This looks delicious hun! Thanks for stopping by my blog, I appreciate it dear. Pamela, that's interesting. If I eat too much pineapple I get hives. So I just pretty much avoid it. Thanks you Bria for stopping by. Glad to have you both!